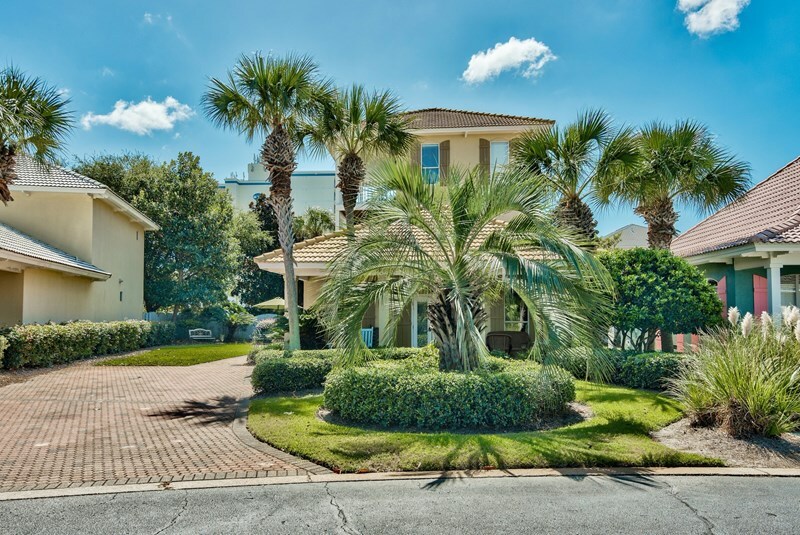 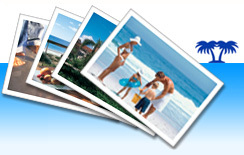 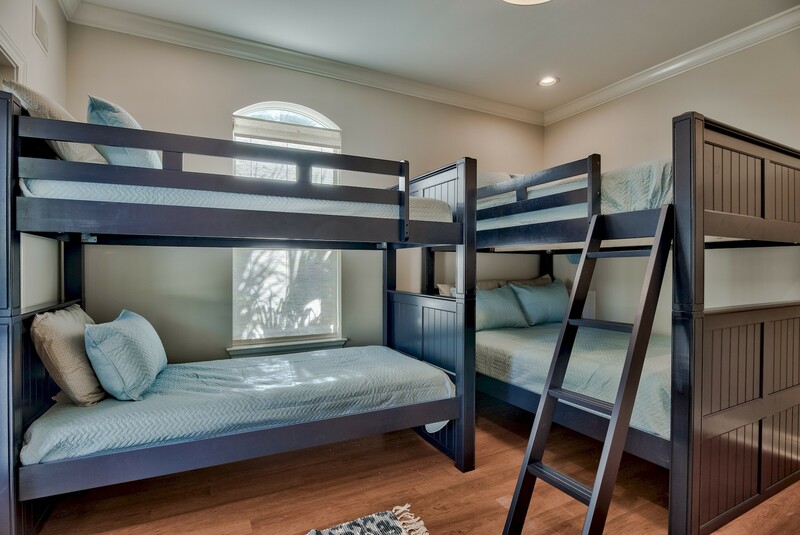 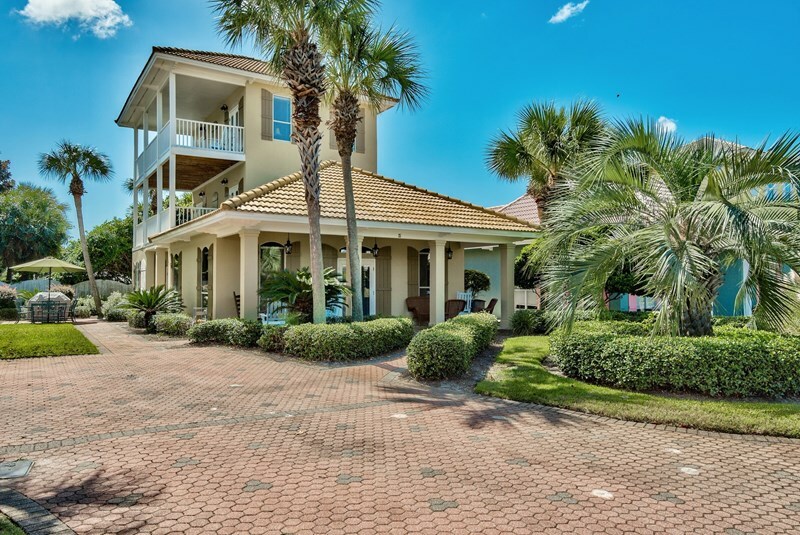 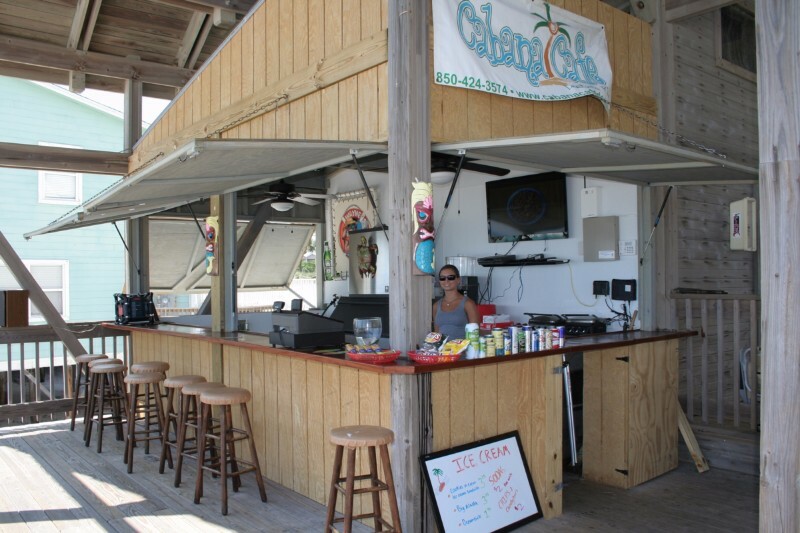 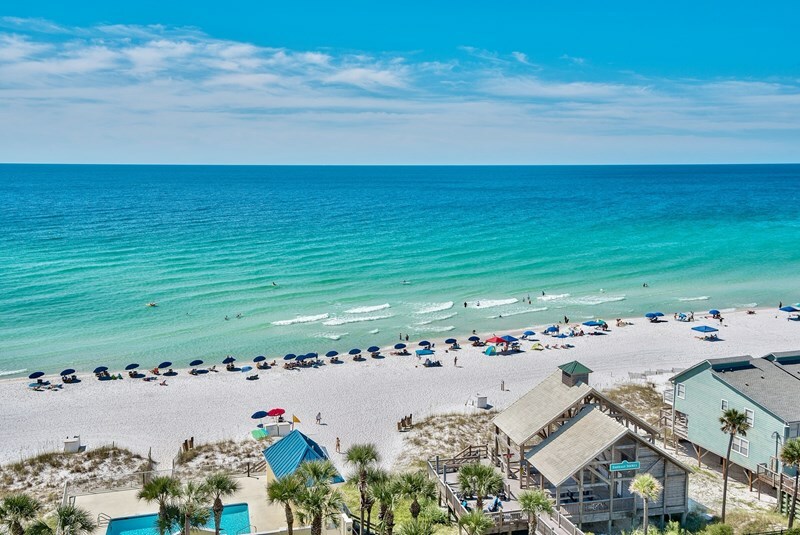 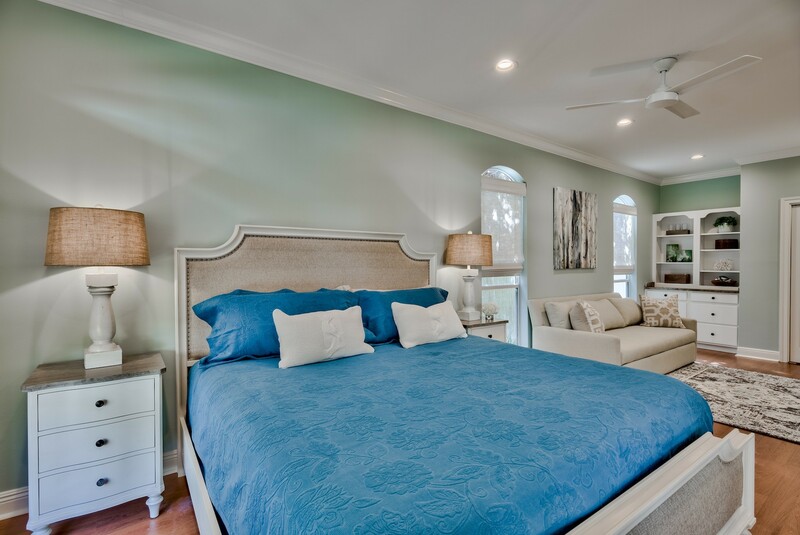 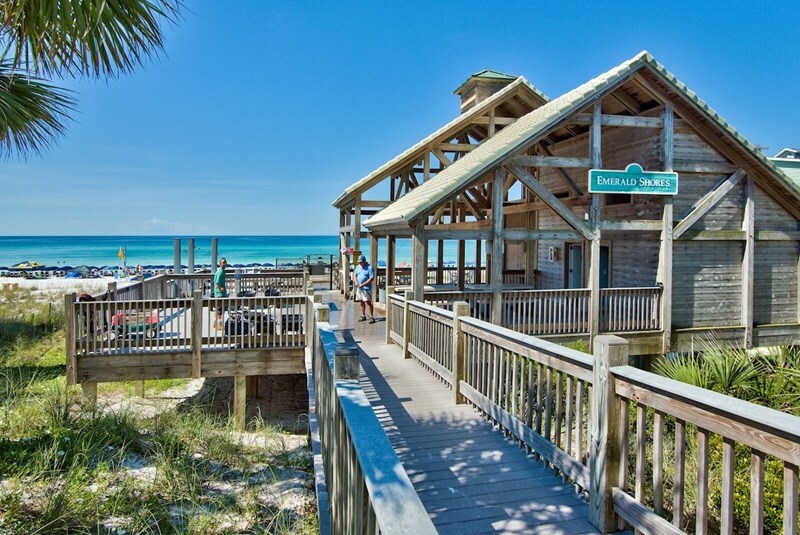 Destin Florida Home Rental - Palmetto Palms Gulf Views 4br / 3 ba [sleeps 16]. 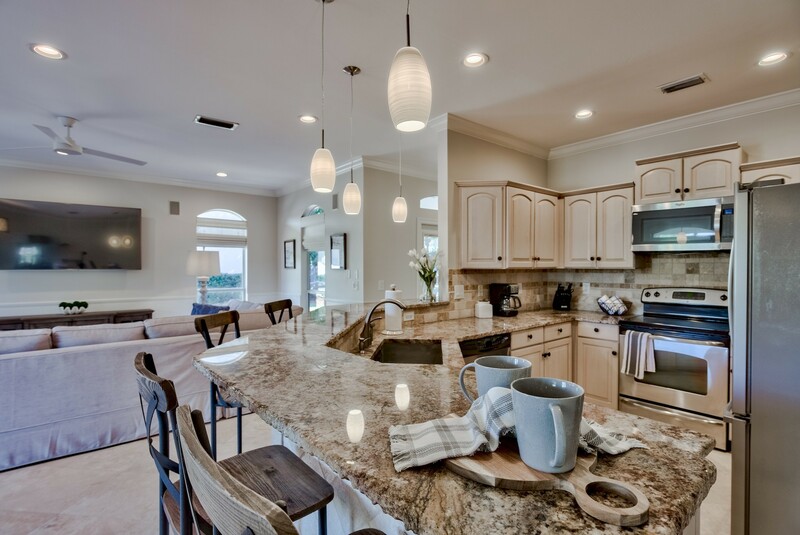 Eat-in Kitchen with Custom Features! 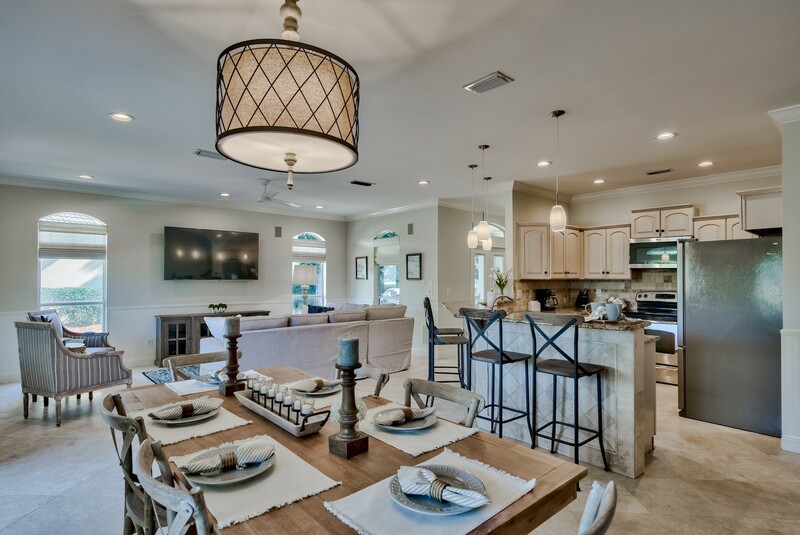 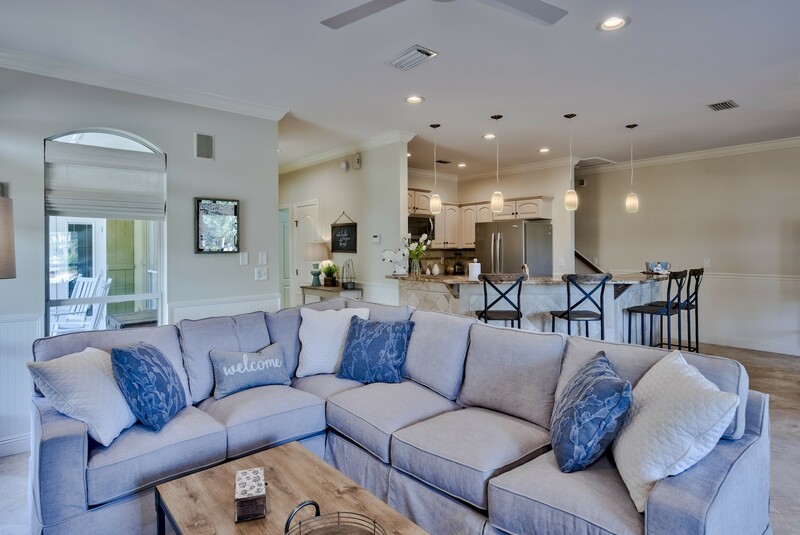 Open living, dining and eat-in kitchen. 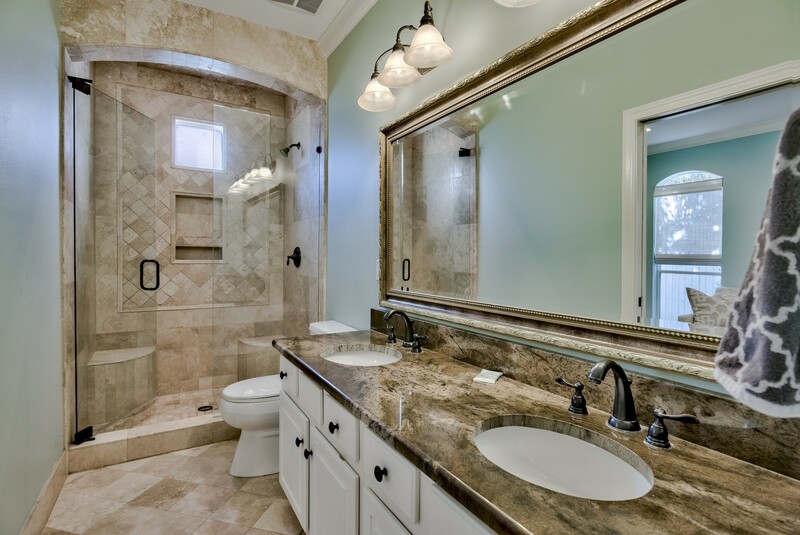 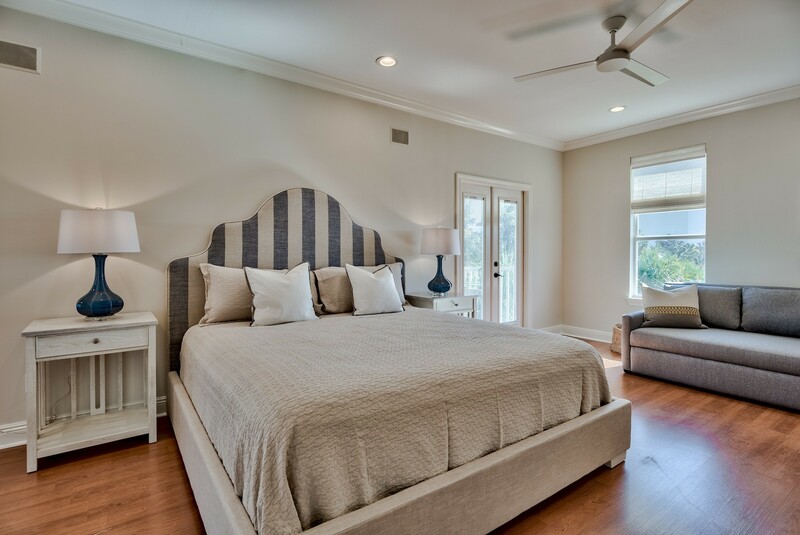 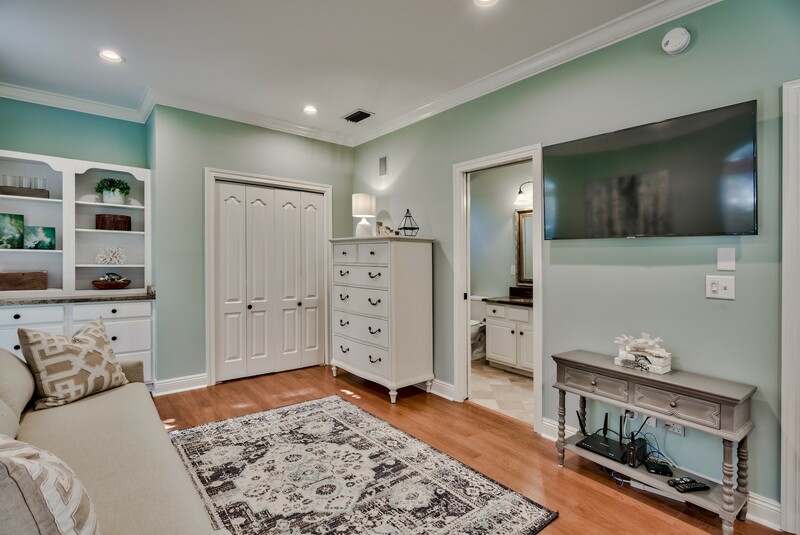 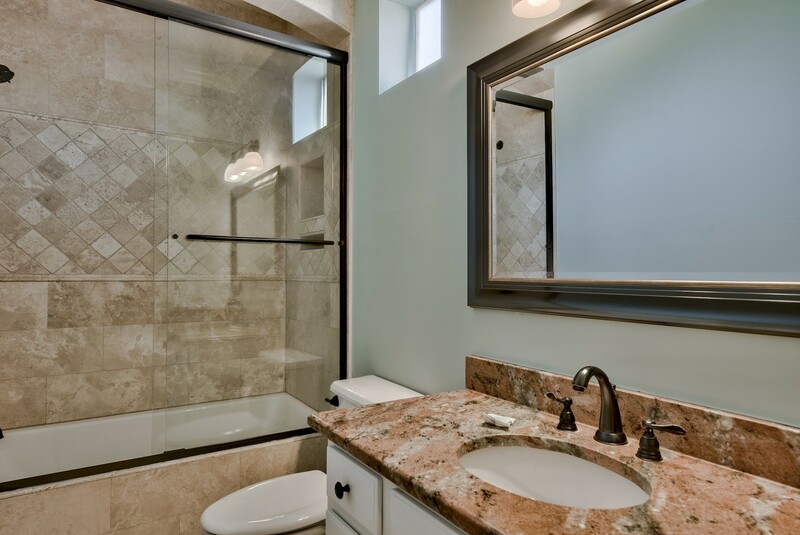 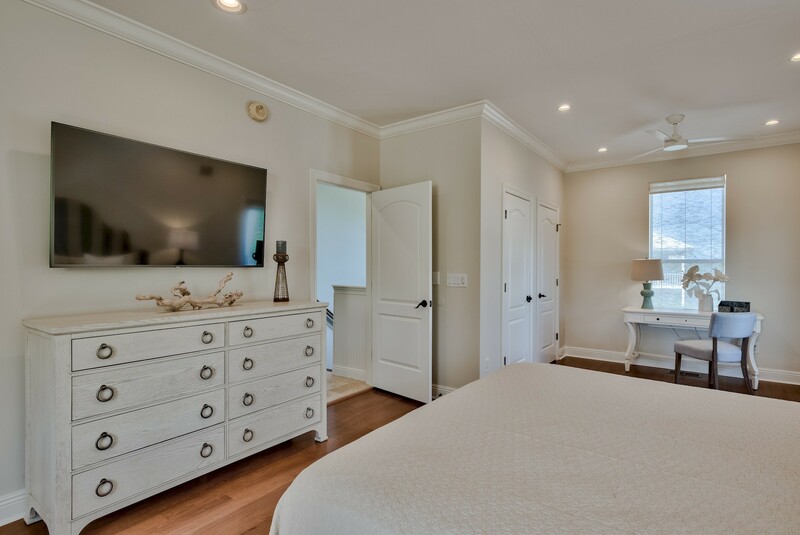 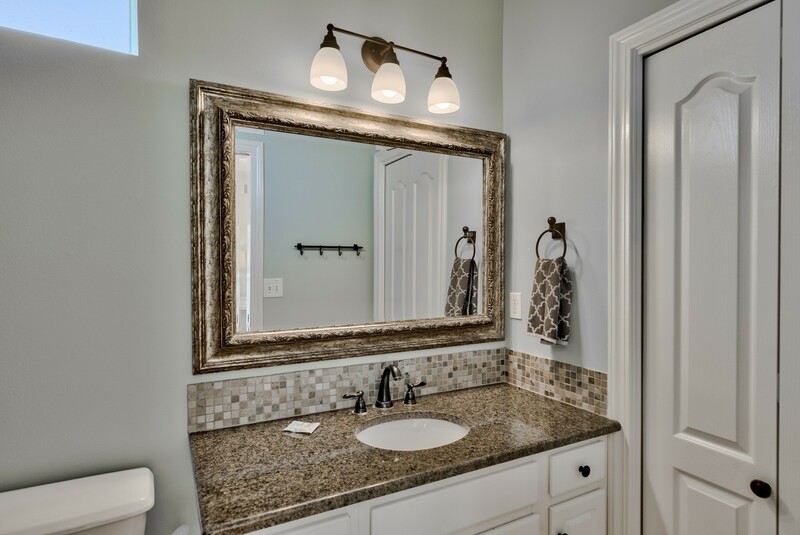 Master Bath 1: Travertine stone, twin vanities and exotic granite counters throughout! 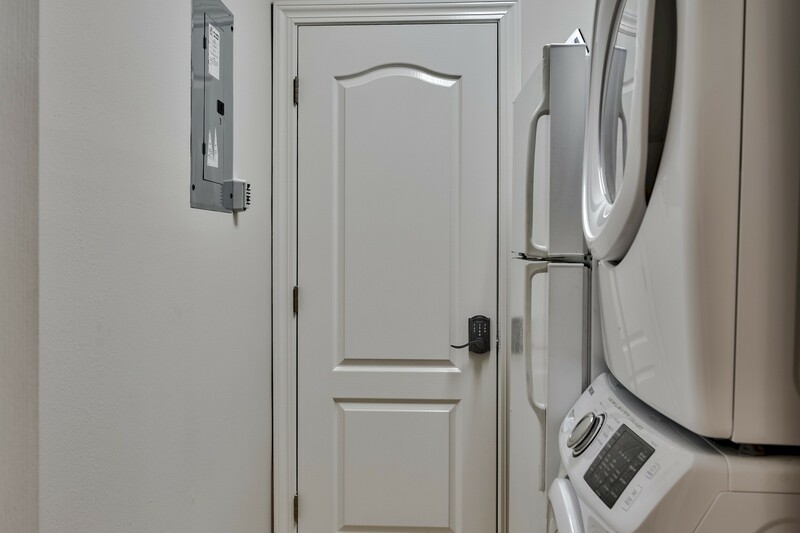 Extra Full-size Fridge / High Efficiency front load washer/dryers! 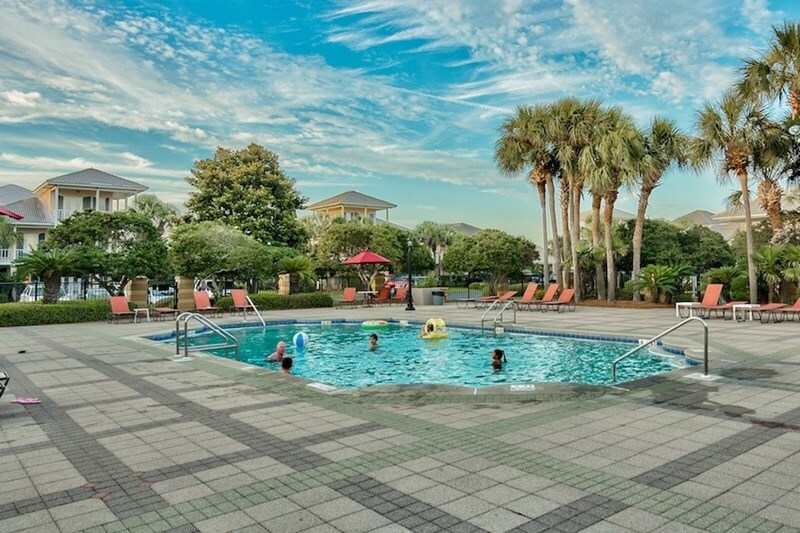 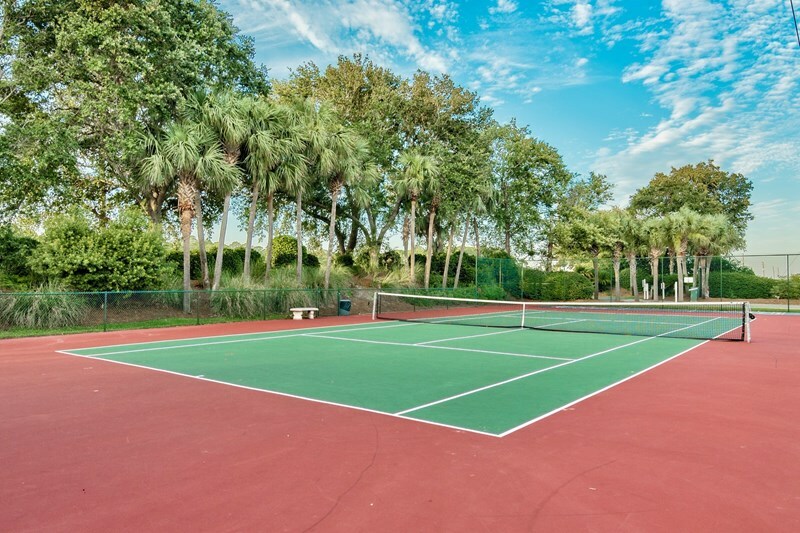 Onsite tennis, basketball, shuffleboard and grass court volleyball!